The Super Nintendo era had two standout Japanese role-playing games (JRPG): Final Fantasy VI and Chrono Trigger. Chrono Trigger received accolades across the board, specifically for its soundtrack and storytelling, to the point where the game is regarded as one of the best JRPGs of all time. 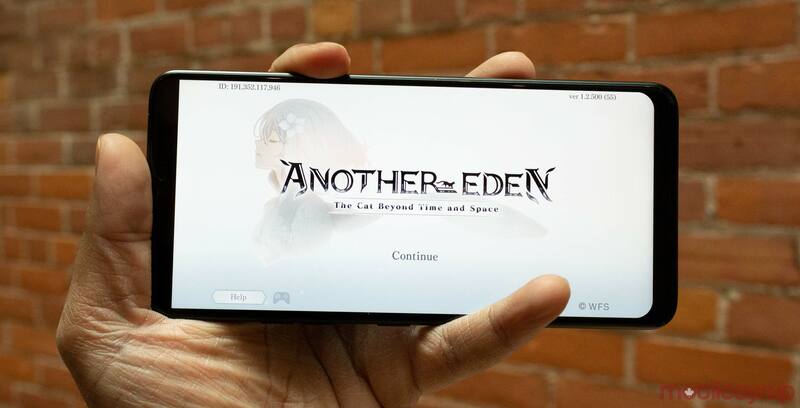 Another Eden: The Cat Beyond Time and Space is a free-to-play (F2P) mobile title developed by Wright Flyer Studios. Masato Kato and Yasunori Mitsuda, recognized for their roles in the Chrono and Xeno series, worked on Another Eden‘s writing and music composition, respectively. However, previous success doesn’t guarantee stellar results. With that in mind, how does Another Eden stack up? I’ve recently looked at two games that impressed me with their storytelling, especially for mobile titles: Dragalia Lost and Langrisser. However, while those titles are great in the context of smartphone gaming, Another Eden offers a handheld console experience. The game revolves around main protagonist Aldo, who accidentally time travels over 300 years in the future after his sister Feinne gets kidnapped. While I typically dislike time travel as a plot element, Another Eden keeps it pretty straightforward and isn’t too convoluted. There is a lot of text dialogue, fleshed-out cutscenes and interesting party members that help keep you engrossed in the story. Since Another Eden features explorable areas, you navigate your party through various towns and terrain. Non-playable characters (NPCs) are also scattered throughout the world. While most of them feature repetitive designs, each NPC has its own unique dialogue, either talking about Elzion, the game’s world, or their personal problems. As a result, Another Eden not only has great storytelling but also includes impressive world building. As you progress through the gam,e you’ll feel as if the world has a life of its own. Another Eden‘s touch screen controls are simplistic but still intuitive. Moving around areas requires swiping across the screen. There are also objects in the world that players can interact with by tapping the screen. This includes picking up objects, fast-travelling and starting side-quests. The battle system is similar to other classic JRPGs. It uses turn-based combat, meaning that after selecting a move, both players and enemies will proceed to attack. There are two different forms of combat — basic attacks and special moves, which cost magic points (MP). These moves can either deal vast amounts of damage, hit all on-screen enemies or heal your party. You can also switch out party members temporarily. This mechanic is used to swap a different character into battle or heal health and MP. You can also target specific enemies if you choose to do so. While this is a simple combat system, it works well because it doesn’t overwhelm the player with too many options. I also want to mention the music, which is beautifully composed and something I haven’t experienced often with mobile titles. All F2P games have drawbacks to them, such as microtransactions, stamina bars or an absurd amount of ads. Another Eden does not suffer these problems, which was a pleasant surprise. First of all, there’s no stamina metre. As a result, you can play as long as you want without any interruptions. There are also no ads in the game, which is remarkable since they just detract from the experience. Microtransactions are present in the game in the form of ‘Chronos Stones,’ which are used to summon new fighters to your party. However, you can acquire these stones naturally, which makes it optional. Characters you meet will join your party as you progress, so it’s not required unless you want more people in your squad. Overall, Another Eden is a great classic RPG that is worth your time if you’re interested in turn-based combat. It not only features great storytelling, but even better world building. Another Eden: The Cat Beyond Time and Space is available for free on iOS and Android devices.